Writer: John R. Cash - Roy Cash Jr. / Composers: John R. Cash - Roy Cash Jr.
(P) Originally released 1956, 1958, 1961, 1963, 1964, 1967, 1968, 1969, 1971. All rights reserved by SONY MUSIC ENTERTAINMENT. (P) 1976, 1977, 1980 SONY MUSIC ENTERTAINMENT. 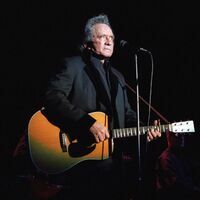 Writer: John R. Cash - R. Cash Jr. / Composers: John R. Cash - R. Cash Jr.
(P) 1985 Sony Music Entertainment Inc.